From family planning to prenatal care, annual exams to post-menopausal guidance, trust UnityPoint Clinic physicians and midwives for exceptional care throughout all stages of life. With locations in Waterloo and Cedar Falls, we offer convenience and a promise to help keep you healthy. From planning your future to improving your quality of life, birth control can be an important part of your health care plan. Discover the different options available and contact us to help find the best plan for your unique needs. 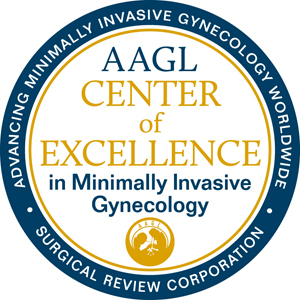 UnityPoint Health – Allen Hospital has been designated a Minimally Invasive Gynecology Center of Excellence by the AAGL (American Association of Gynecologic Laparoscopists) and Surgical Review Corporation. This program recognizes surgeons and facilities that demonstrate a remarkable commitment and ability to consistently deliver safe, effective, evidence-based care. It helps minimally invasive gynecologic surgery providers continuously improve quality and safety. To achieve this recognition we created and implemented clinical & surgical pathways as well as standard orders for our Laparoscopic and Hysteroscopic procedures. Our clinical pathways cover many areas such as intraoperative anesthesia, perioperative care, counseling of patients, and fluid management. We also require a full complement of consultative services for our patients which include Vascular & General Surgeons, Urologist, Radiologist, Gynecologist, Anesthesiologist, and a Critical Care Specialist.